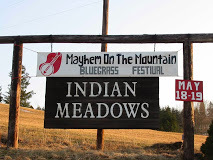 Indian Meadows is a R/V and tent camping facility tucked away in the small Monongalia county community of Pentress 15 minutes west of Morgantown, WV on Route 7 West. They have facilities to provide R/V site rentals for any size motor coach or fifth-wheel camper. Also offering twenty 30 Amp sites (9 pull through sites with full hook-up, 6 back-in sites with full hook-up, and another 5 back-in sites with water and electric but no sewer), and six 50 Amp back-in sites. Tent camping is also an option. All tent camping will be primitive, but there are 100 acres to ensure your camping expectations can be fullfilled.